Much of my coaching involves supporting my clients in developing and expanding their leadership, management, coaching, and relationship skills. Mastering these skills helps them produce far greater results with and through others. One consideration is the time it actually takes to reach their goals. Today’s quote points to the speed and efficiency of leading oneself to a better future, managing our own efforts and resources, and adjusting our course for optimal results. Regarding relationship skills, rarely do we ever disagree with our own thinking! 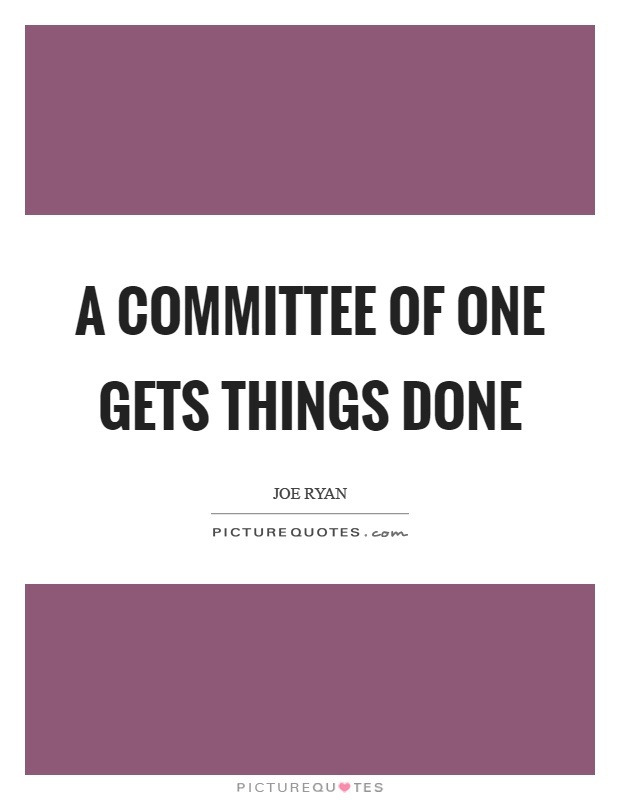 Where and on what personal or professional priority is it appropriate to use your “committee of one” to get something done? There sure is a lot of finger pointing going on these days! Pick almost any hot topic in the news and you will see people on all sides taking dead aim at one another. Blaming others, finding fault, and making others wrong seems wired into us in spite of the fact that we are all highly aware of its consequences. 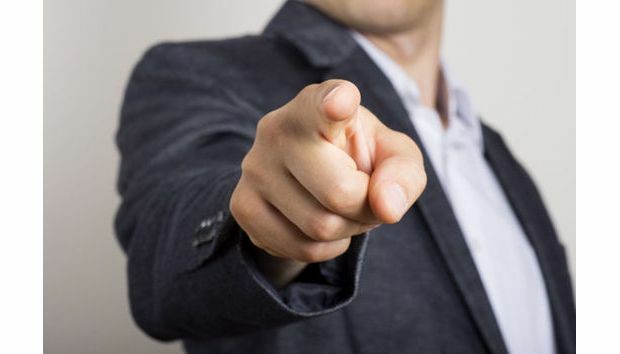 Knowing that three fingers are always pointing back at us when we point at others, how can you take far more responsibility, accountability, and ownership regarding the events in every aspect of your life? Not Important, and Not Urgent. 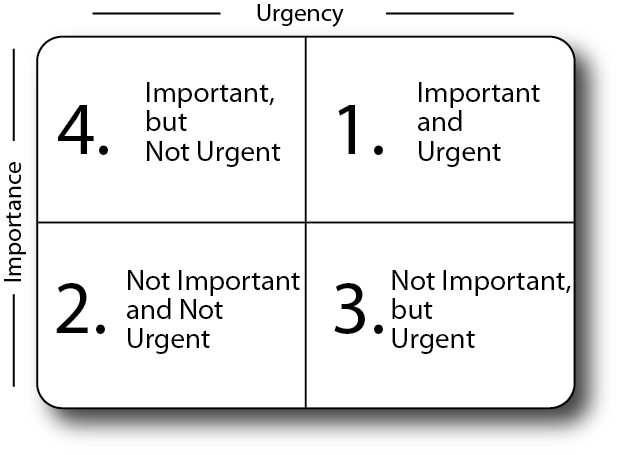 Virtually everyone would agree that item #1 – Important and Urgent – would be given the highest priority, and item #2 – Not Important and Not Urgent – would be the lowest. The challenge for most people is sorting through the amount of time we devote – or should I say “lose” – by inadvertently slipping into more #3 – Not Important, but Urgent – than #4 – Important, but Not Urgent. Where would the habit of greater discipline concerning the important matters in your life pay you the highest returns, personally or professionally? Consider selecting a friend, family member, mentor, or coach to work with in this area as soon as possible. 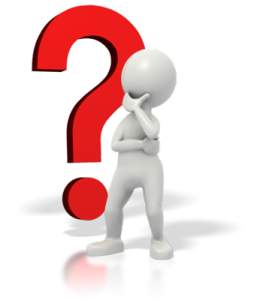 One of the greatest tools in a coach’s toolbox is the question. Answers to open-ended questions—those that begin with who, what, where, when, why and how—provide a level of depth and significance from well below the surface, often into new territories of awareness and insight. I disagree with Henri Arnold’s statement that fools ask such questions of others: after all, I’d be calling all coaches fools! I do however believe that when coaches also ask these same questions of themselves, they often enhance their own development considerably. Arnold might say that a coach without their own internal or external coach is a fool. Pay attention to the types of questions you and your colleagues, friends, and family members ask one another during the day. Which ones enhance your life journey, and propel you toward wisdom?